This is a free two-hour networking and information-gathering event aimed at those in the boat building industry who either want to learn more about Rhino or are users of Rhino. Presentations will be done by Icarus Marine and Wayne Robertson Yachts on the uses of Rhino in boat design. 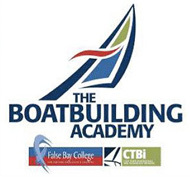 A Rhino Level One two-day course aimed at the boat building industry facilitated by a marine industry expert.